The New York Rangers believe Henrik Lundqvist’s injury is not serious, coach Alain Vigneault said Thursday, a day after the star goalie was hit in the eye with a teammate’s stick. 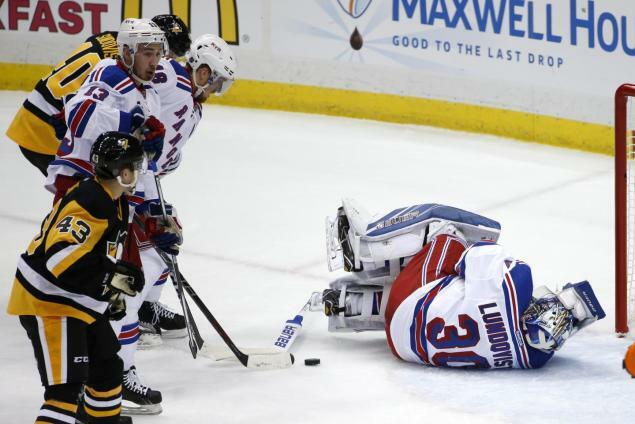 However, Vigneault said it’s too soon to say when Lundqvist will return. Lundqvist was injured in the first period’s final minute when teammate Marc Staal’s stick blade jabbed in between the bars on Lundqvist’s mask. Lundqvist was writhing in pain sprawled on the ice but was able to finish the period after receiving minor treatment at the bench. He gave up a goal in the final minute of the frame but was replaced after the first intermission by backup Antti Raanta after his eye swelled up considerably in the locker room. Raanta and the Rangers fell to the Penguins by a final score of 5-2. One cannot put the blame on Raanta alone for the game one loss. The Rangers had a glorious opportunity to take a 1-0 lead in the series against Pittsburgh’s third-string goalie, Jeff Zatkoff. However, Zatkoff was sensational in his playoff debut, stopping 35 of 37 shots. 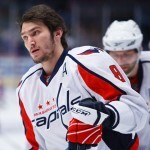 The Rangers had their chances but were unable to capitalize. The Penguins’ top line had a huge game, and it was clear the Rangers were missing defenseman and captain Ryan McDonagh, who is out with an injury. Patric Hornqvist scored a hat trick and an assist. Sidney Crosby scored a breakaway beauty late in the second to give the Penguins a 2-0 lead. Crosby also contributed two assists. That’s seven points combined for Hornqvist and Crosby on the night. Penguins forward Tom Kuhnhackl became the first Penguins player to score a shorthanded goal in his playoff debut since Brad Werenka accomplished the feat on April 23, 1998 against the Montreal Canadiens, according to Elias Sports Bureau. That goal turned out to be the real backbreaker for the Rangers. 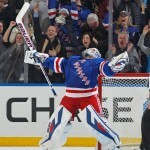 Everybody around the sport of hockey knows Henrik Lundqvist is the backbone of the New York Rangers. It goes without saying that the Rangers desperately need Lundqvist’s services, so the next few days will be crucial leading up to game two on Saturday. By all reports, the eye injury is not serious. 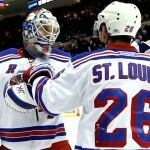 However, the star goalie’s status is uncertain, which is bad news for the Rangers going forward. Lundqvist is one of the best in the business, and the Rangers will need his calming influence and elevated play moving forward..